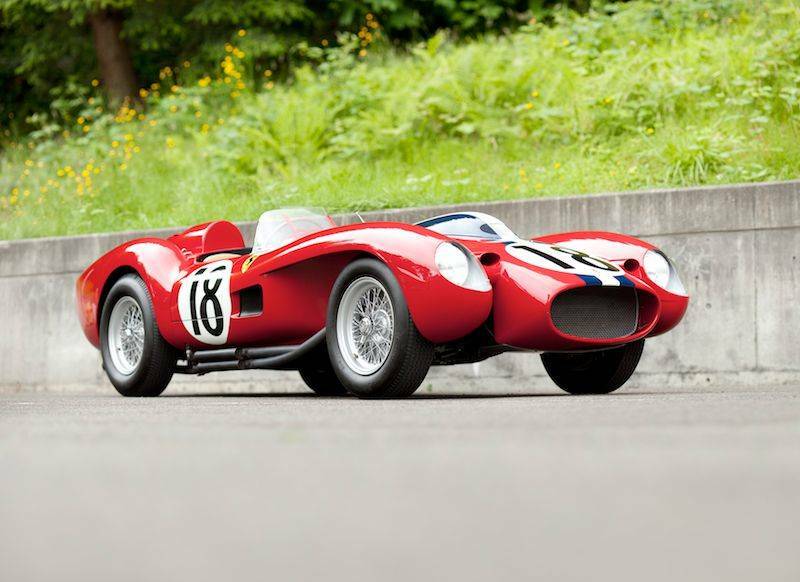 The history of 0666 TR, and the 250 Testa Rossa program at large, are rooted in the broader context of international motor sport during the late 1950s. With Mercedes-Benz out of the picture, the highest levels of sports car racing consisted of an escalating battle between Ferrari and Maserati for top honors, punctuated by the increasingly effective efforts of Jaguar, Porsche and Aston Martin. Due to the ever-increasing speeds of the Italian entries, the Commission Sportive Internationale imposed new classifications designed to simultaneously level the playing field and make racing a safer proposition for all involved. In addition to this challenge, Scuderia Ferrari was also forced to reconsider its profitable marketplace in the US. Given the SCCA’s structure, the firm’s popular four-cylinder 500 TRC had little hope of ever attaining an outright victory. As is the nature of a true competitor, Scuderia Ferrari forged ahead in what appeared to be a grueling war on two distinctly different fronts. 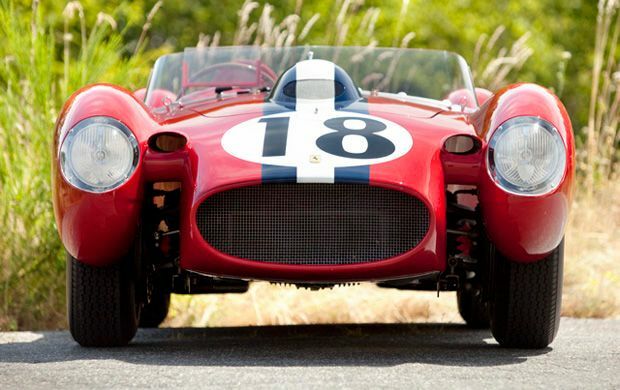 In so doing, they created one of the greatest sports racing cars in history, the 250 Testa Rossa. Using the template put forward by Aston Martin’s DBR1, Ferrari set to work developing a three-liter sports car with a reliable, production- based power plant, lithe aerodynamic bodywork and forgiving handling traits. It needed to be a viable works-team car as well as an enticing candidate for American privateers. The development of the Ferrari 250 TR began in early 1957 with the car presented here, 0666 TR. 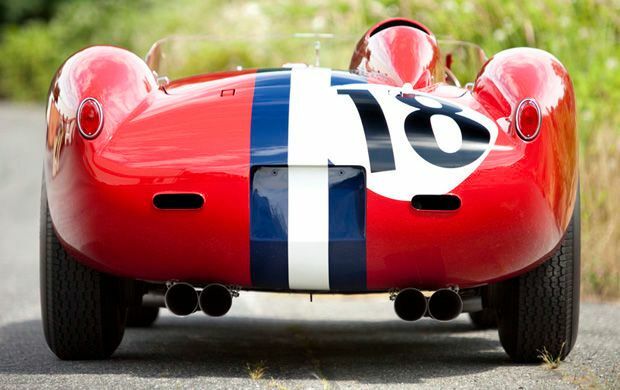 As a result, 0666 TR has the significant distinction of serving as the first prototype for the 250 Testa Rossa series, an exclusive group of Ferraris that went on to dominate sports car racing for the next five years. 0666 TR was constructed on the tipo 525 chassis, complete with a De Dion tube, transverse leaf-spring suspension in the rear, and A-arms and coil springs up front. As a works-team car, it was specified in a right-hand-drive arrangement. The first engine installed was of the contemporary 250 GT-type, tuned to an even hotter state than the potent, factory-prepared Tour de France Berlinettas. Finally, the completed chassis was draped in fully enveloping coachwork, similar in style to the 290 MM models of 1956. When it was completed in May 1957, the Testa Rossa prototype looked as though it had been assembled in great haste, with visible hammer marks in the panels, last-minute alterations and varying shades of red paint. In short, it was an appearance not customarily seen on Ferrari-works entries. Nevertheless, 0666 TR made its debut at the ADAC 1000 Km Nürburgring and, despite its rather experimental finish, the original TR prototype was certainly in healthy tune. During practice, the Scuderia Ferrari-works drivers all had a chance to try out the new race car, including Phil Hill, who had only recently joined the factory team. In the capable hands of Olivier Gendebien, 0666 TR recorded the sixth fastest time in qualifying, just behind the large-displacement Ferrari and Aston Martin works entries. Masten Gregory, known as “The Kansas City Flash,” was hired specifically to drive the prototype along with Gendebien. After a confusing driver shuffle, Gregory left believing he would return in the morning as a spectator, not as an entrant. When a frenzied Ferrari mechanic burst into Gregory’s hotel room moments before the start, he was proven wrong. Arriving at the ’Ring just in time, the disheveled Gregory hopped into his similarly groomed mount and set off at a rapid pace. After a few laps, he was running as high as 6th, hot on the heels of the established competition. Eventually, Gregory handed over the controls to Olinto Morolli, a relatively untested driver who Scuderia Ferrari had temporarily spirited away from his OSCA. Having no time to practice in the new prototype and very little experience with the track, Morolli put on a disappointing performance, recording lap times some three minutes slower than Gregory! As a result, 0666 TR continued to slip in position, yet its strong start helped it finish 10th overall. It was an impressive debut to be sure. Returning from Germany, the prototype was prepared for its next outing and, on June 13th, the factory Certificate of Origin was issued for 0666 TR. During July, the Testa Rossa underwent further development and next appeared at the Swedish 6-hour Grand Prix in Kristianstad, where it was equipped with the experimental 3.1-liter engine that had recently been tested at Le Mans. For that race, the factory assigned Gendebien and Maurice Trintignant to the prototype. However, after an hour and a half of racing, the engine, suffering from various ailments, gave out and the car was forced to retire. By the time 0666 TR returned from Scandinavia, the CSI had confirmed the new three-liter limit for the 1958 season. Between September and October 1957, 0666 TR was stripped of its envelope body and refinished by Scaglietti in the quintessential pontoon-fender style, with inside door hinges and an air vent installed on the right side between the fender and hood. At that time, the prototype received its definitive driveline, complete with the tipo 128 LM Testa Rossa motor (No. 0666 TR, Internal No. GES N 6) and four-speed gearbox. Wonderful article. I’ve often wondered what became of this car. Growing up in Belmont, CA, next door to San Carlos, I saw this car run in many of the West Coast races mentioned. I recall stopping by Rod Carveth Enterprises on El Camino Real one day to pick up a part for my MG-A and seeing this very car up for sale. If memory serves, I had enough money in the bank to buy it – it was, after all, a used-up race car. I don’t know what I would have done with it over the ensuing years, but I don’t think I would have set it on fire.